This article contains affiliate links at no cost to you. We have invited guest author Amanda Mouttaki to share with us her first-hand experiences of the Ait Benhaddou (Game of Thrones Yunkai) and Essaouira (Game of Thrones Astapor), two exotic Game of Thrones filming locations in Morocco. Amanda Mouttaki is a freelance writer and blogger living in Marrakech, Morocco with her husband and two boys. She is foodie and history nerd who loves to travel far and wide to learn more and eat the best food around! She writes regularly on her blog Maroc Mama and if you’re in Marrakech be sure to take one of her Marrakech Food Tours! 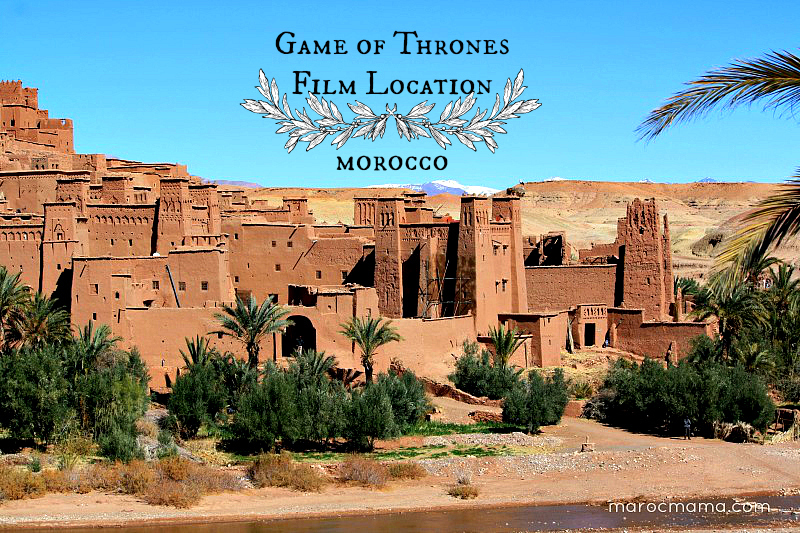 Game of Thrones filming locations in Morocco are just a few alongside several exotic choices for film sets. The hit HBO series has used sets in Northern Ireland, Iceland, Malta, Spain, Croatia and Scotland. For the Game of Thrones Yunkai and the Game of Thrones Astapor, producers chose two locations in Morocco, the real ancient fortified city of Ait Benhaddou (Yunkai) and Essaouira (Astapor). The Dark Hedges used as the King’s Road. It’s hard to believe this city, made entirely of clay, has remained in place for centuries. This location is used to represent the slave-trading city of Yunkai. While no longer the case, Ait Benhaddou once also had its dealings in the sale of humans. Perhaps producers weren’t so far off? The city is located between Marrakech and the Sahara on an old trade route once frequented by caravans. Over the years the ksar (the Arabic word for city) has gone through various states of repair and disrepair from the 1600’s forward. While the site may have been used prior to this, the remaining structures do not date beyond this time. Most recently it was recognized as a UNESCO World Heritage Site (1987). No fewer than twenty films have been shot on location. In recent years it has found its place on the map thanks to film productions and tourists who pay a visit. While it may appear no one could possibly live here, there are several families that still do live full time in the ksar. They are not alone, the rest of the village resides in more modern structures across the river. It’s very obvious when you approach the city that the walls and fortifications were made to keep people out. On climbing to the top of the city, where the granary once existed, you can see in all directions for miles. The location of this city was not by random choice. It was strategically chosen as it is near a water source (villagers have access to water via the river that runs in front), and the high vantage points allow excellent views for approaching threats. From the desert to the coast of Morocco is where you’ll find Essaouira the modern day location of Astapor, home of the Unsullied. Daenerys isn’t the only one to pay a visit to this historical city. Its claim to fame is of being a favored city of the late Jimi Hendrix, as well as countless others. What makes Essaouira so unique is the mix of European, Arab, and African elements. 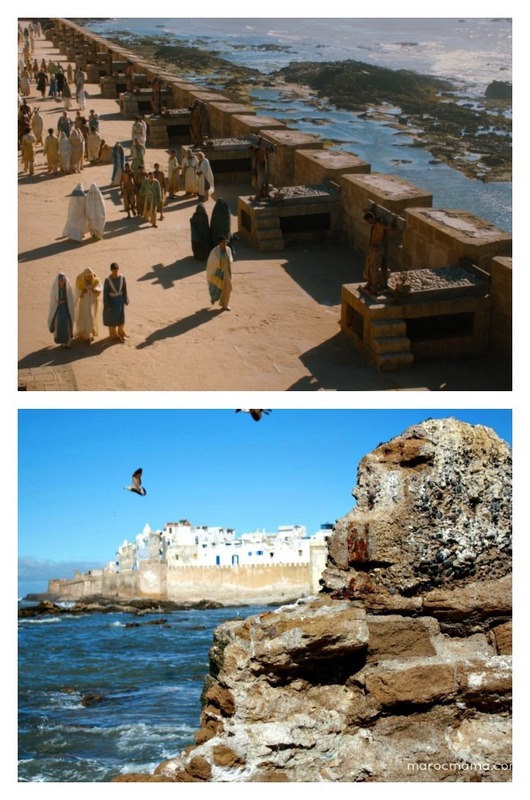 Many of the Game of Thrones filming locations in Morocco were shot on the Scala, the old Portuguese fortifications. While many people know Morocco was a French protectorate, fewer know of the other European powers that had control at various points in time. The city was once known as Mogador, a corruption of the original name Sidi Megdoul after a Muslim saint that was buried in Essaouira. Various peoples have been using the port as far back as the 5th century BC. During the period of intense European trade, many Jews settled in the city to help facilitate trade. At one point the population was 50/50 Muslim and Jewish creating a unique blend of cultures. Along the corridor of the Scala is the cannon row where more than a dozen Portuguese cannons remain pointed out to the sea. They’re bolted in place and thus created a unique problem for Game of Thrones producers. This area of the fortification is known in the TV series as the “Walk of Punishment.” Because the cannons can’t be moved the set was instead built over the top. 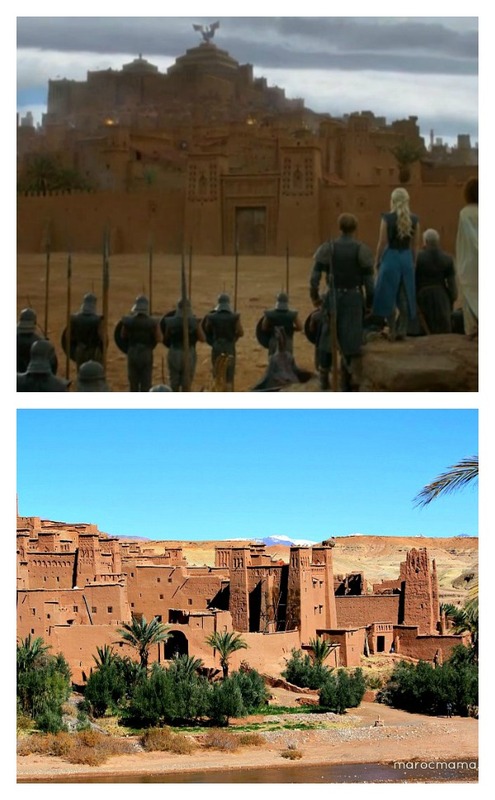 Even though liberties were taken with post-production editing the Game of Thrones filming locations in Morocco, they were not a far departure from their everyday look. Chances are if you pay a visit to either of these two cities you’ll instantly feel like you’re a part of the show! For more information on visiting Morocco, you can check out Amanda’s cool blog here Maroc Mama. Classic Stills limited edition, certified and framed images. Know any DIE HARD Game of Thrones fans? Classic Stills has more than House Stark in their collection. Check out these limited edition certified images from the best series on television. Classic Stills is revolutionizing how fans of popular culture such as Game of ThronesTM and James Dean can own unique and desirable photographic fine art. archives to produce one-of-a-kind collections of limited-edition prints. in a fine art gallery. a unique Certificate of Authenticity. ● Each edition contains a maximum of 150 prints in any one size, and 495 prints in total. Great article, amazing information & awesome pictures. Thank you so much for sharing it with us! Thank for the kind words! Thanks a lot CHRISTA for sharing with us this information really I didn’t know these places. Ah, I’m glad I’m spending my summer in this fascinating country. I just arrived from Essaouira and it was….magnificent. I can’t tell you how amazing people are out there, they’re like a breeze of fresh air and speaking of air, my god does this country feel like a whole new world. People are surprisingly open minded and Morocco sure seems like a melting pot of different religions. I’m currently in Rabat and I can’t wait to visit Ouarzazate..I heard it’s really warm in there and I’m so excited to feel the desert’s sun graze my skin. Have you ever visited this magic country?